Allan and his family reported their self monitored blood glucoses here. AmGut results soon as it takes about half a year. At UCSF Dr Lynda Frassetto et al are requesting help to prove the value and merit of the paleo diet for insulin resistant states such as PCOS. She is working collaboratively with other researchers to obtain funding for the next landmark study. What they collect via Crowdfund can be retained even if they do not reach the $40,000 goal. Dr Frassetto and I believe the paleo diet offers many hormonal and cognitive/behavioral benefits for those with insulin resistant states. I've spoken with Dr Frassetto to promote the diet at an EBT conference for emotional behavior therapy (Wired for Joy) because their participants see great mental and brain changes that complement the program. What is needed is well designed and articulated studies like her earlier, seminal Paleo study that showed dramatic normalization of blood pressures in pre-hypertensive adults. This was not a low carb study but a basic, no grains, no legumes, no dairy paleo diet including some tubers (carrots, yams, etc). Her goal is to prove health benefits again for a group of patients that have few medical options (metformin, starvation weight loss diets, IVF, fertility treatment, etc). As you are aware in the paleosphere, many cases of spontaneous fertility and resolution of PCOS are commonplace. A few days ago, they opened their UCSF-Crowdfund account and received $2855 already. Government funding has become scarcer of late. Many of the medical personnel for this study are in fact all volunteering their time according to Dr Frassetto. Unlike the prior study, outpatient food is not provided. Nutri Sci students (like I used to be LOL) from UC Berkeley will be volunteering to counsel diet information to trial participants. Costs for Free-testosterone, insulin, and other lab hormone measurements will be covered by funds collected. Dr. Lynda Frassetto and Dr. Ashley Mason will be attending the Ancestral Health Symposium in Berkeley, CA August 7-9. We'd be happy to meet with you and talk about the study -- or if you donate at the $250 level, we'll take you to lunch and talk about anything you want! $20,000: Laboratory tests of insulin resistance and other biological outcomes. $12,000: Research supplies and lab space. $4000: Payments to participants for providing questionnaires, urine and blood samples, and uterine images. $4000: Tracking and staying in touch with participants, data entry and administrative support. 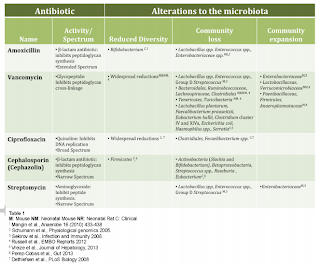 Please see my twitter feed for gut microbiota updates and news! The data that I'd like to share is too much so I find posting it real time on twitter a great outlet. The Paleolithic Age started ~2.6 mya and extended to only 12,000 years ago. The last Homo neanderthalensis existed up to ~25,000 years ago, and in fact their DNA exists in nearly all of us. One of our ancient human ancestors, Australopithecine boisei (formerly known as Paranthropus boisei), did not eat the stiff and hard textured nuts that their tough jaws and mean bite alluded to, but instead appeared to consume a diet rich in soft sedge tubers (including tigernuts) that grew buried in the soft land near waterways and shorelines. He had nickname, Nutcracker man. And lived with great longevity from 2.4 mya to 1.4 mya, impressively longer (that I'm aware of) than any other hominin ancestor that humans have had. Nutcracker man indeed started our human evolution with increasingly larger brain sizes during his 1 million year reign and likely planted the seeds for yet even larger brain sizes in 'subsequent prototypes' in Homo. The moors, peatlands, and marshlands of Scotland and northern Europe were very similiar to the Paleo 'nutriscape' and terrain during the transition from Ice Ages to mega C4 sedge and grasslands. I suspect our ancestors consumed a pretty heady diet of plant fiber and starch because sedge tubers/corms/rhizomes (including tiger nuts), cattail bulbs, water chestnuts, wild carrots, yams, and other starchy roots were common underground storage organs (USOs). Tubers like tigernuts and other underground sedge roots had a different, more evolved form of photosynthesis that required less molecules of water and selected during the shift in weather from moist and aquatic to dry grasslands. The final electron donor switched from water which had become intermittently scarce to sugar/starch molecules. During intermittent freezing and warm periods, sugar and starch additionally served another role as a buffer from cold trauma and frost. In the Paleolithic Age, both Homo and Australopithecine fed themselves well enough to not only survive the Ice Ages, predators, pathogens and newly discovered bipedalism, but also to grow a higher capacity cranium. One of the leading theories for this is digestible carbohydrates. Without complex carbohydrates and high fiber starches from USOs it is unlikely that fruit and honey alone would have exploded the process of encephalization. For tens of millions of years our primate cousins had failed to forge larger brains as frugivores. What changed? Researchers Brown et al reviewed the diet of our primal forefathers and noted they likely consumed "high carbohydrate sources including plants particularly those with underground storage organs (USOs) such as reed mace (Typha), common reed (Phragmites), water chestnut (Trapa natans) and yellow water lily (Nuphar lutea). USOs have repeatedly been implicated in hominin evolution and particularly encephalisation and bipedalism in the Africa , , – although this has been challenged ." USOs provide valuable nutrients for brain fuel: zinc, magnesium, carbohydrates, sucrose, vitamin C (one serving, almost 50% of RDA), and protein. In terms of the brain-gut evolution, digging for tubers also tied our ancestors to the ground in more ways than the descent from the arboreal heavens to terra firma living and bipedalism. SBO probiotics (soil-based organisms) clung to every new bite of dirt-covered tubers. For tree hugging primates, the new terrain brought not only fresh and novel food, but also broad exposures to a whole new world of micro-organisms. 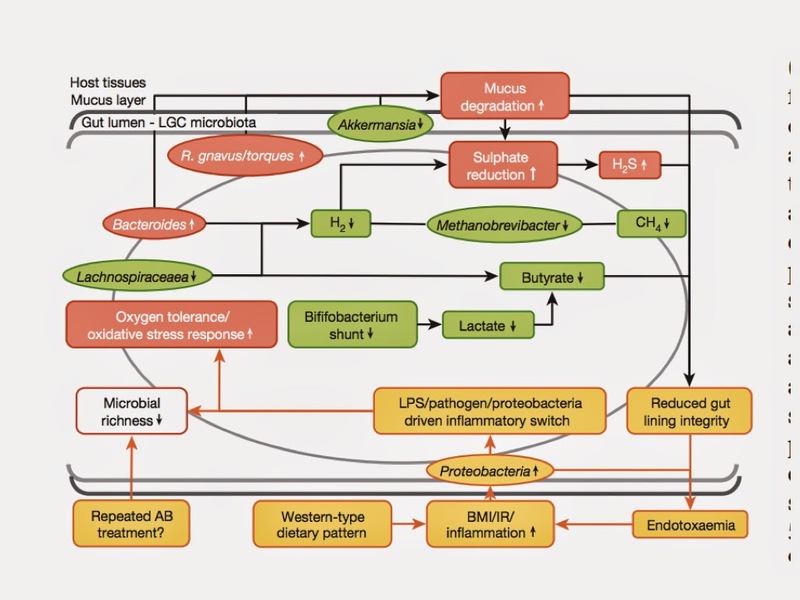 Remember, diet (dirt lol) is the biggest driver of the microbiota and evolution of the gut. Transformation of gut and brain occurred simultaneously I believe. Our herbivore colon shrunk as our brains exponentially expanded... or even doubled: gut and cranium. Neanderthals probably didn't do a fantastic job with legumes and small grain grasses because now they are extinct. It took a few dozen thousands of years...a slow demise, if that one of the reasons for their demise. During the latter portion of the Paleolithic, smarter hominids came along and figured out how to soak and cook legumes and SGGs. Food processing easily removes toxins and transforms them toxic, hard bumps of plant seeds into edible and delicious sources of starch, fiber, fat and protein. Wrangtham et al in 'The Evolution of Hominin Diets' (2009) discusses the use of legumes in the end of Paleolithic Age, before the advent of agriculture. Plant evidence doesn't survive time well. What was unearthed was corroborated at a variety of sites widely distributed throughout Europe and Eurasia. 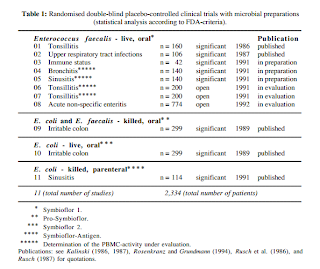 Read: "Gory Details -- Here’s the poop on getting your gut microbiome analyzed"
"Here’s the poop on getting your gut microbiome analyzed"
Caveat: all the current testing is imperfect including functional medicine testing, but what they can reveal are the (more stable) pathobionts and yeasts, which usually survive and thrive once colonization resistance and gut barriers are no longer functioning well or at all. Recently 16S pyrosequencing was done as part of the Ribosomal Database Project (RDP) on a sample of healthy Korean gut microbiota. Geographical differences were seen compared to other Asian and American countries however between Korean guts, there was homology and core phylogenetic similarities. In 8 Koreans (below), their guts were tracked monthly for 3 time points. Temporally, great shifts are notable on nearly every gut. I think it indicates clearly that our gut is like a playground. Kids, toddlers, nannies and teenagers all vie for spots and it's constantly shifting over time. Studies show even between meals, the microbiota show significant shifts. A diet protocol can shift populations in only day. In our gut different currencies exist; this works much like in a thriving village, various services and goods are exchanged depending on the talents and gifts of the inhabitants. Gut microbes exchange carbon (CO2, SCFA, lactate, etc and methane, CH4) and gasses (H2, sulfur) and extensively cross-feed each other. A healthy colon has biochemical pathways similar to a compost heap for degradation. Intimate cross-feeding of by-products of plant fiber breakdown (carbs --> shorter carbs --> oligosaccharides --> glucose, fructose, etc) feeds groups with different specialties in breaking down a broad variety of fiber. A productive community will have higher diversity and skilled enzymes for cutting a variety of plant fiber and resistant starches. Studies are far back as ~20 yrs have shown that resistant starch is not broken down in the guts of ~25% of healthy controls (Cummings 1996; Hylla et al 1998). The same is true for inulin prebiotics. The keystone or 'star players' were extinct. How do you play if the star players are missing? Game over? Le Chatelier et al recently reported that "Here we report the human gut microbial composition in a population sample of 123 non-obese and 169 obese Danish individuals. We find two groups of individuals that differ by the number of gut microbial genes and thus gut bacterial richness. 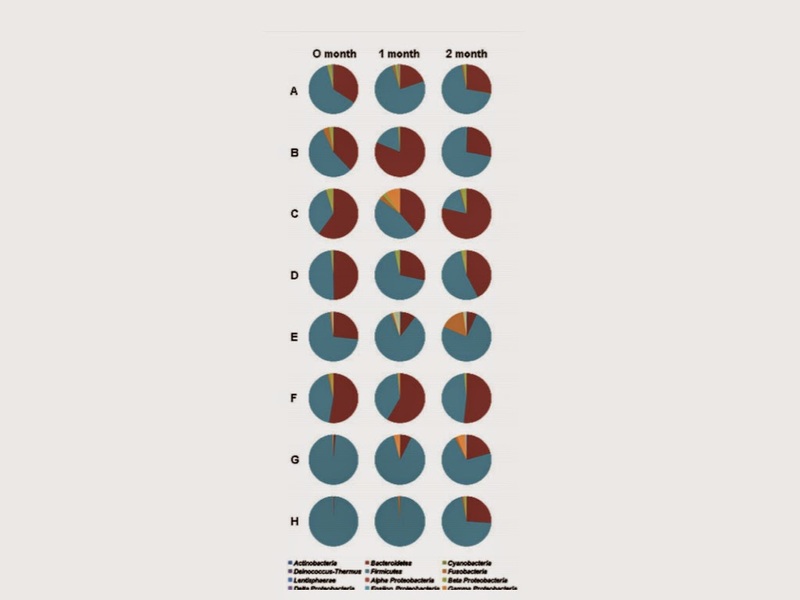 They contain known and previously unknown bacterial species at different proportions; individuals with a low bacterial richness (23% of the population ['low gene count', LGC]) are characterized by more marked overall adiposity, insulin resistance and dyslipidaemia and a more pronounced inflammatory phenotype when compared with high bacterial richness individuals ['high gene count', HGC]. The obese individuals among the lower bacterial richness group also gain more weight over time. Only a few bacterial species are sufficient to distinguish between individuals with high and low bacterial richness, and even between lean and obese participants." 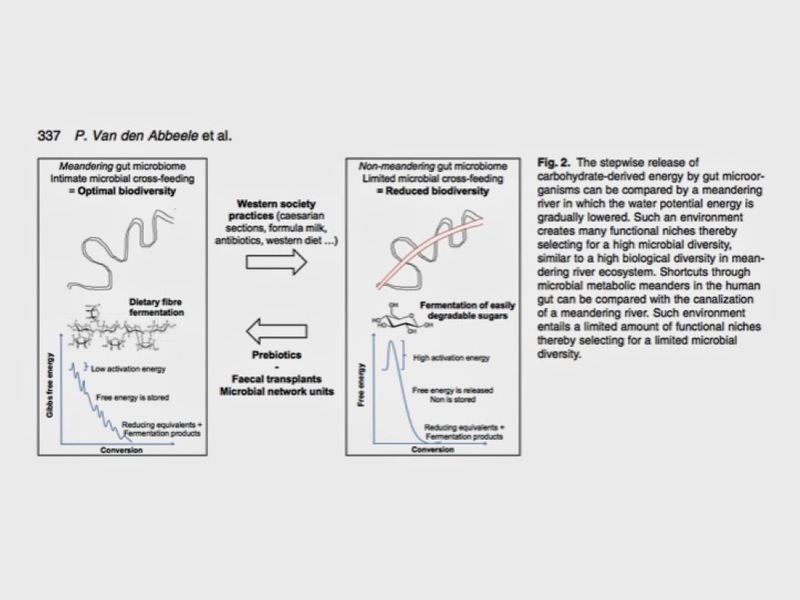 'Richness of human gut microbiome correlates with metabolic markers', Le Chatelier et al, 2013, PDF and REVIEW. Again, show me your gut microbiota, and I'll show you missing allies. The 7 Steps works for many because it combines healthy environmental organisms (grit/SBO probiotics/plant organisms/mud/manure) with the optimal fuel for the gut microbiota...evolutionary plant fiber from ancestral tubers, whole seeds/grains, and legumes. Synbiotics are probiotics + prebiotics and our most ancestral foods combined these because before 50-70 years ago, most places in the world still did not have running water, household toilets or ubiquitous triclosan, hand sanitizers or soap! Prior to refrigeration, unspoiled food was fresh, fermented or semi-fermented. "More recently, another plausible mechanism has surfaced in the synbiotic combination of resistant starch, Lactobacillus acidophilus and Bifidobacterium lactis . These investigations identified enhanced apoptosis of carcinogen-damaged cells in rat colon by the combination treatment . 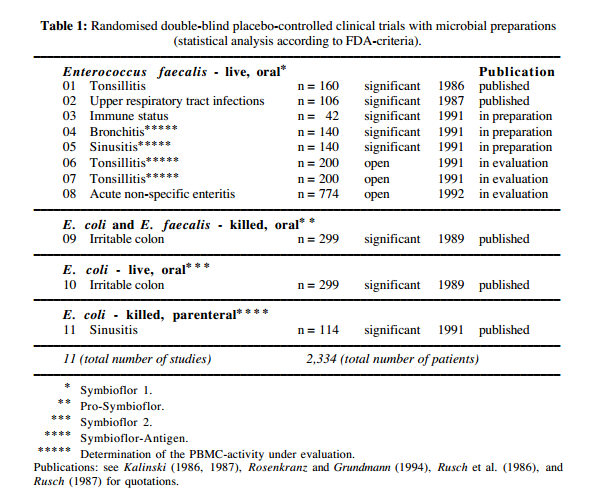 In contrast, the probiotics provided no protection when a low resistant starch diet was fed and the resistant starch had no protective response in the absence of the probiotic . 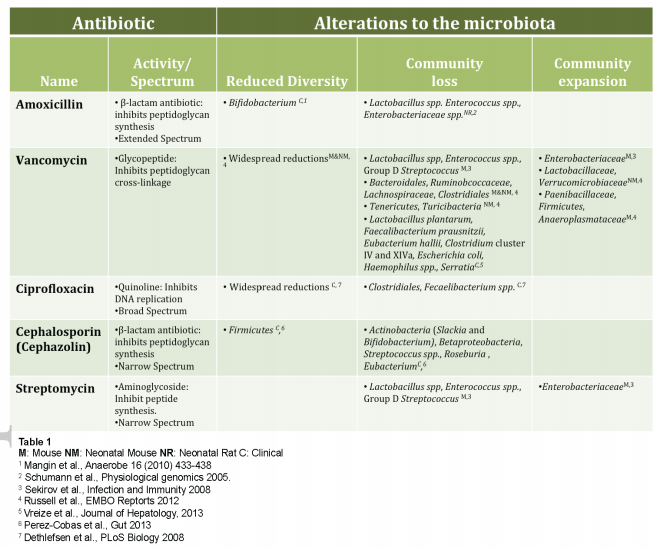 (Davis, Milner 2009)"
In healing the gut, rebiosis needs to occur -- reintroduction of lost life to a dysbiotic terrain. Nearly all health conditions being studied are now emerging with correlations to intestinal dysbiosis. And as we know by fixing dysbiosis, we can resolve many health conditions from allergies to autism spectrum to hypertension. From the last post, the lost of several flora strains occurs with common antibiotics such as amoxicillin, cephalexin, and ciprofloxacin. In some people these are easily replenished by consuming a fiber and RS rich diet but on a strict Paleo or VLC diet, the fuel for our probiotics are severely lacking. I think further degradation of the microbiota and health can occur. This is not measurable in modern terms unless we look to functional medicine to assess gut function using tests from Genova Diagnostics, Biohealth or Doctor's Data. Thank you to gentle readers who have sent me their results! I'll get to them and appreciate your patience. A couple of probiotic strains, Enterococcus faecium and E. faecalis, help to fill in where antibiotic damage has occurred to the gut. In Germany, we got to try to Symbioflor (red) which contains E. faecalis. My daughter had a smidgen of eczema on a cheek after stress from finals. This probiotic helped to rebalance the gut-skin axis and helped the eczema disappear completely (and being a teen, it wasn't overnight or fast lol). The studies for E. faecalis are great. Europe is always more progressive for this type of research and development. The studies showed clinically significant improvement across the board in immunomodulatory function in tonsillitis, upper respiratory tract infections, immune status, bronchitis, sinusitis, and irritable colon.